Ennis is on a hot streak with this and the main Boys title, so I expect this to be business as usual, and will expect nothing less than excellence with part 2 of this first Boys spin-off. The pieces are all in motion. 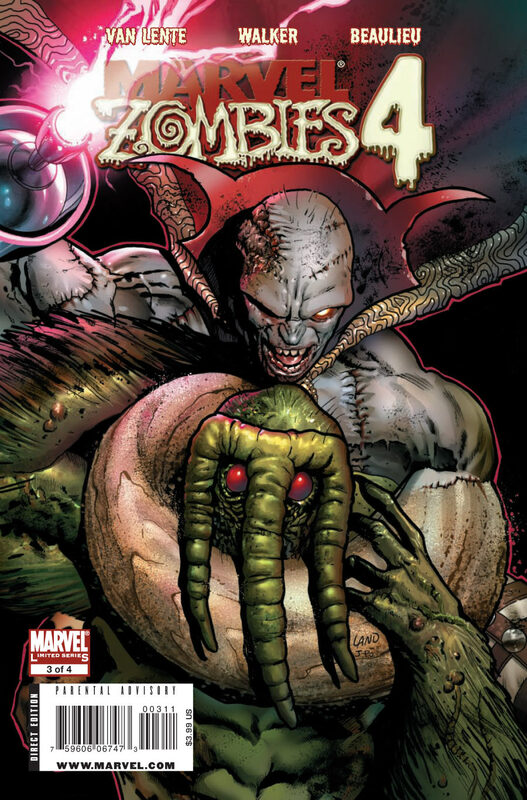 Dracula, Lilith and Captain Fate are heading for Earth with their invasion force, as the Vampire Lord’s deal with Dr. Doom and master plan all come together. MI13 has been taken apart and the world is ripe for the taking. Gutted that this title is coming to an end, though at least they have given Paul Cornell the opportunity to finish this on a high. Awesome cover. 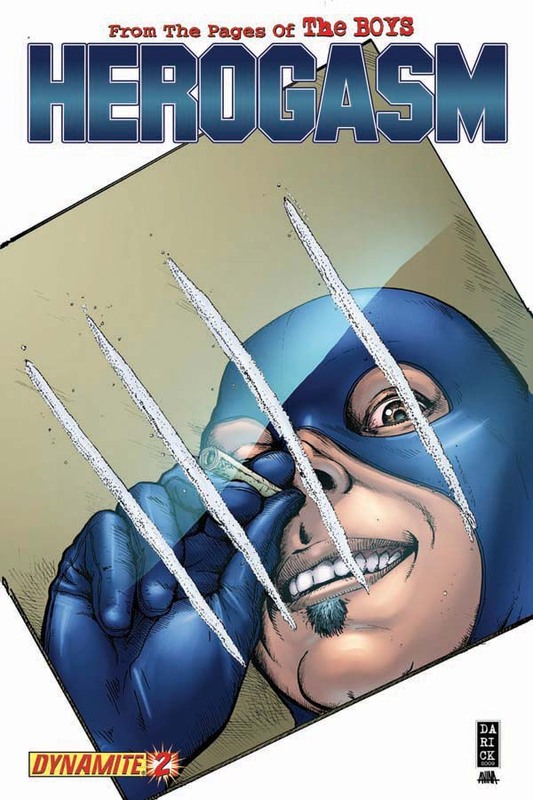 This has been a lot of fun so far, dark humour for a Dark Reign tie-in, its twisted and fast paced and stands up on its own merits. Andy Diggle is doing a brilliant job with this one. From the pages of DARK AVENGERS! 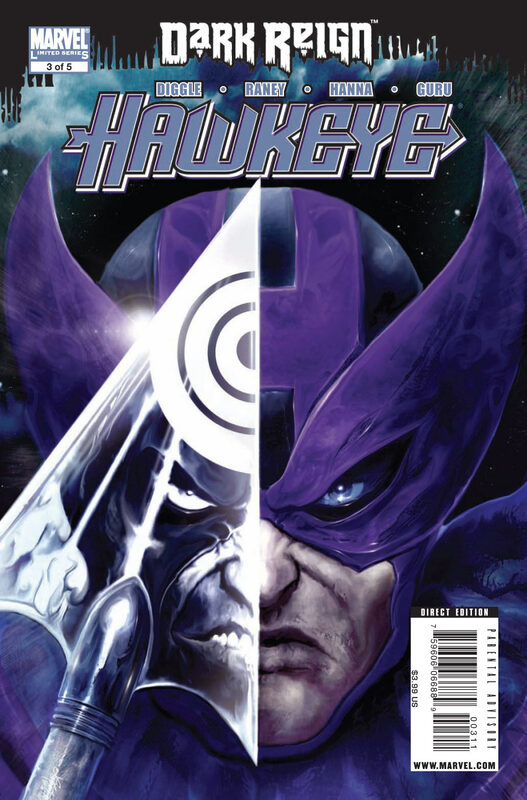 The psychopath formerly known as Bullseye has been painting the town blood-red in the guise of the heroic Hawkeye. But the hero mask is starting to slip–along with his tenuous grip on reality! 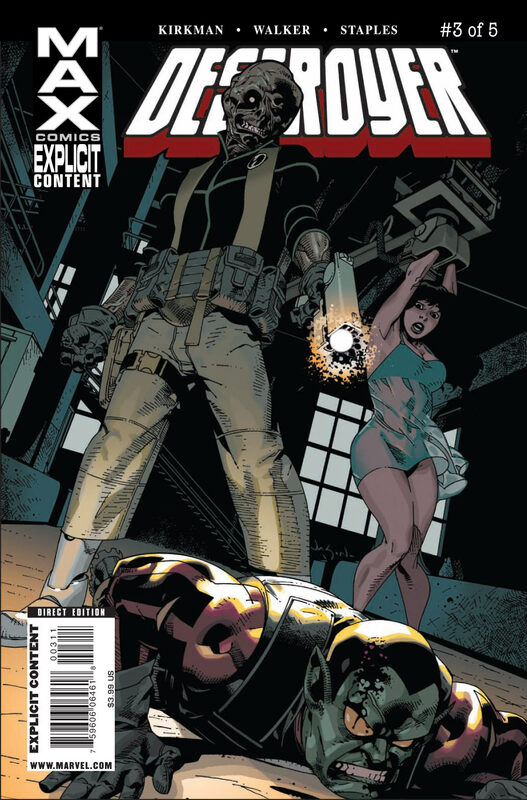 As the cold blooded killer struggles to cover up his murderous excesses and hide his deteriorating mental state from Norman Osborn, who should he be more afraid of–the killer within or the hero without? Destroyer at long last catches up with his most hated enemy -the dreaded SCAR! While Destroyer was hunting down and murdering his villains, Scar set his sights on him! The hunter becomes the hunted! 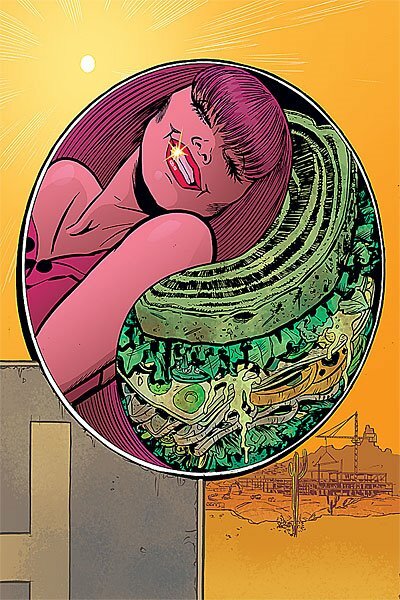 So it goes – personally I found the second issue a bit of an anti climax after the rousing debut, so hoping for better things here. So far so very good for this latest iteration of the franchise – and in this issue we get a toxic cloud that zombifies everything in its way. The Midnight Sons can’t enter the deadly mist, so they call in a reserve member who can, so we get the return of another Seventies Horror Superstar – the macabre Man-Thing! Throw the Hood in the mix and this promises to be another crowd pleaser, with Van Lente and Walker at the top of their game. As the Ice Queen of the Phonogram universe, Emily Aster is only afraid of two things: her past catching up and spending time in dodgy indie venues. In the latest of the seven-stories-in-one-night of the Singles Club, she’s having to deal with both. Plus, two complete back-up stories featuring the art of LEIGH GALLAGHER (2000AD, The Witching) and LEE O’CONNOR. 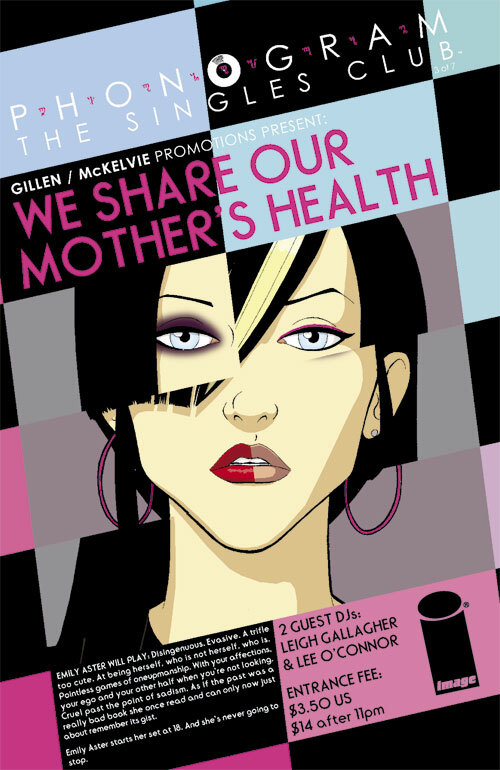 Now that’s what I call a title – ‘We Share Our Mother’s Health’. Lovely, lovely, lovely. Danny suffers the horrible effects of looking through the hole in the wall, causing a rift between himself and Loreli. Loreli turns to Danny’s archrival, Puss-Bag, for comfort which leads to a night of violence and horror. History repeats itself as the spider’s plan is revealed and a mysterious phone number brings both help and destruction from the past.